From the treasonous to the petty, there were many crimes that warranted death in past London. Here's where the executions took place. Little known fact: very few people have lost their heads inside the Tower complex. Public executions took place on nearby Tower Hill, until the final beheading in 1747. Here were dispatched various dukes, earls, knights and nobles, including Sir Thomas More and his nemesis Thomas Cromwell. 125 unfortunates are recorded on a plaque in the nearby memorial garden. The adjacent Hung, Drawn and Quartered pub recalls the grisly history. The Tower itself was historically reserved for the super-celebs. Only seven executions are recorded on Tower Green, within the complex. These include the termination of three queens: Anne Boleyn, Catherine Howard and Jane Grey. The historic palace was last used as a place of execution within living memory, when German spy Josef Jakobs was killed by firing squad on 15 August 1941. Probably London's most overworked place of execution, Tyburn gallows operated between 1196 and 1783. The site, close to Marble Arch, is of ancient significance: the junction where Edgware Road meets Bayswater Road dates to Roman times. 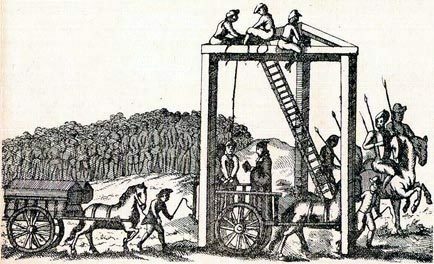 The notorious Tyburn Tree – a three-sided gallows that once accommodated 24 felons simultaneously – was erected in 1571. It became a landmark of such notoriety that it even appeared on maps. Famous stretch-necks include pretender to the throne Perkin Warbeck, Georgian n'er-do-wells Jack Sheppard and Jonathan Wild, and the exhumed corpse of Oliver Cromwell. A simple plaque now marks the site. Today, this haunt of lawyers, surgeons and cancer researchers is as tranquil a space as you'll find in central London. 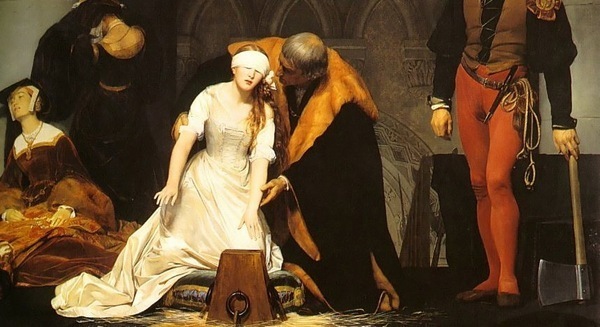 If you could step back to Tudor times, however, you might witness some of the most gruesome executions the city has ever seen. Would-be regicide Anthony Babington met his protracted end here. Brutally. "...There to be hanged and cut down alive, and your body shall be opened, your heart and bowels plucked out, and your privy members cut off and thrown into the fire before your eyes. Then your head to be stricken off from your body, and your body shall be divided into 4 quarters, to be disposed of at (the Queen's) pleasure." Rumour has it that the unenviable Babington was still conscious as his 'privy members' hit the flames. 100 years later, the condemned Lord William Russell received little better under the axe of Jack Ketch, whose first blow missed the neck and cleaved off much of the vexed peer's shoulder. There's no monument, but some say the site of the executions is now marked by the bandstand. Following the closure of the Tyburn gallows in 1783, the area outside Newgate Prison became the main site of capital punishment, eliminating at a stroke the raucous parades that often accompanied the condemned person on his or her final journey. The sight of a dangling corpse became rarer, but was still a popular spectacle. The final public execution took place in 1868, after which hangings were carried out within the prison and away from the populace. The prison was demolished in 1902 and the site is now covered by the Old Bailey. 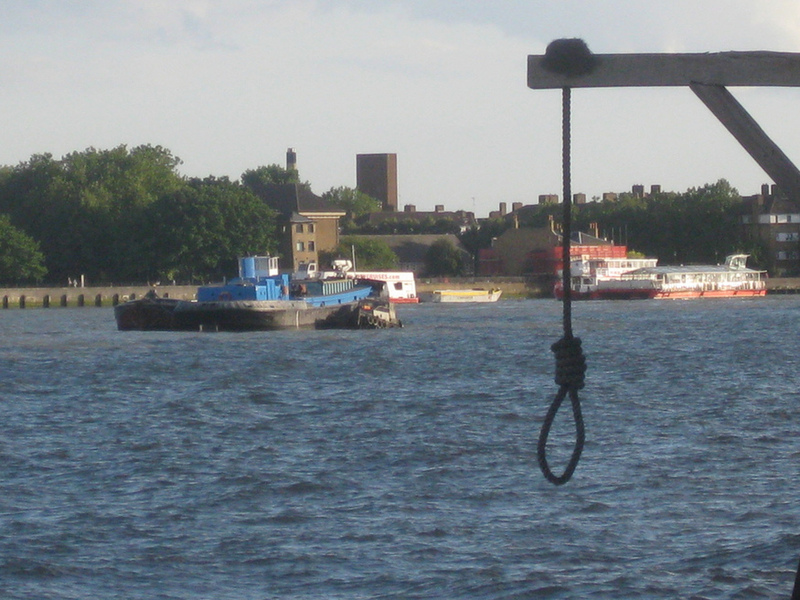 Malefactors of a more nautical persuasion were sentenced to hang at Wapping's Execution Dock. Pirates, smugglers, mutineers and their ilk were hanged over the water from a shortened noose, ensuring a slow death from asphyxiation. By tradition, their bodies were then left until at least three tides had washed over them. Captain Kidd is the most famous example. His body was later displayed at Tilbury for over 20 years. The location of Execution Dock is a matter of debate, but what is now Wapping station is one leading contender. A commemorative noose dangles from the rear of the Prospect of Whitby pub. The age-old meat market on the north-western fringes of the City is a site of butchery in more ways than one. Revolting peasant Wat Tyler was famously put to the sword by the Lord Mayor hereabouts, although that was more of a politically motivated murder than a planned execution. The area came to be known as something of a health hazard for anyone who disagreed with the monarch. 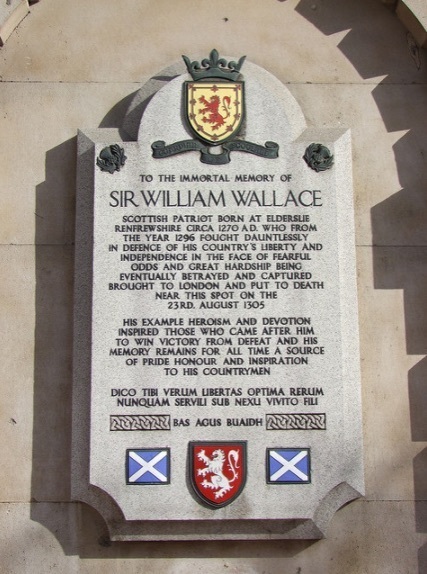 William Wallace met his end here in 1305, via the now-familiar hanged-drawn-quartered technique. A memorial to the shouty Scot is still visited by flower-laying patriots to this day. A couple of centuries later, Smithfield was also the scene of religious executions, when Bloody Mary I condemned at least 50 Protestants to death by burning (also commemorated with a plaque). Swindlers and confidence tricksters were occasionally boiled to death in oil. Nice place, Smithfield. More Marian burnings took place in Stratford, or nearby Bow... accounts differ, although a leading theory cites Fairfield Road north of Bow church. In any case, "Eleven men and two women, later known as the Stratford Martyrs, were brought from Newgate and burnt at the stake on a single fire for their 'protestant beliefs'." A memorial outside St John's church lists 18 people killed in Stratford (plus two more at Smithfield and one at Ware). Foxe's Book of Martyrs includes a related burning out in Uxbridge, for which another memorial exists. Perhaps the most unlikely site in our list, St Paul's Cathedral has nevertheless been the site of several executions. 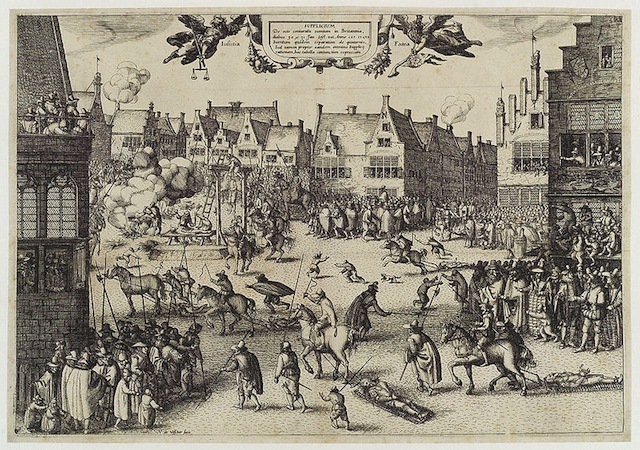 Following the Gunpowder Plot of 1605, four conspirators were dispatched in the churchyard by hanging and disembowelment. A Jesuit priest, Henry Garnet, was also implicated in the plot and executed at the cathedral at a later date. The exact site is uncertain. Four of the remaining Gunpowder Plotters, including Guy Fawkes himself, were executed the day after the St Paul's hangings. The chosen site was Old Palace Yard, just outside Westminster Hall. The malefactors were again hanged, drawn and quartered. Sir Walter Raleigh also met his end here in 1618. One of the most famous executions in London's history took place a few hundred metres from the Gunpowder hangings. Testy monarch Charles I — son of James I, the target of the Gunpowder plotters — was beheaded on a specially prepared scaffold outside the Banqueting House on Whitehall. The building exists to this day, and a small memorial bust of the king can be found outside. The eagle-eyed will spy a more subtle memorial to Charles across the road. The clock of the Horseguards building carries a black mark next to the number 2, the hour of the royal execution. You'll also find an equestrian statue of the king at the northern end of Whitehall, looking towards Banqueting House. With the Restoration of the Monarchy in 1660, the newly instated Charles II showed little leniency to those who'd eliminated his father Charles I. In October of that year, eight regicides were hanged, drawn and quartered at a specially erected gibbet in Charing Cross. A popular choice for executions south of the river until 1800, Kennington Common (now Kennington Park) most famously saw the deaths of 17 Jacobite rebels following the 1745 uprising. A grisly account of their hanging and disembowelment can be found here. Capitalpunishment.co.uk notes that 120 men were executed at the north London prison between 1902 and 1961, all by hanging, and mostly for murder, although two were for treason and six for spying. Pentonville carried out more 20th Century executions than any other prison in England and Wales. Notable customers include Dr Crippen and John Reginald Christie. Following the closure of Newgate in 1902, Holloway took on responsibility for imprisonment and execution of female felons. Five women were executed here between 1903 and 1955, a third of all executions in England and Wales during that period, concluding with the death of Ruth Ellis, the last woman to be hanged in Britain. South London's principal execution site was the Horsemonger Lane Gaol, near what is now Newington Causeway. Between 1800 and 1877, 135 people were put to death here. The other major execution prison was at Wandsworth. Between 1878 and 1961, 134 men and women were executed on the gallows, including 10 spies and 2 traitors. The most high-profile was perhaps William Joyce, the WWII Nazi propagandist known as Lord Haw-Haw. A little-known execution site existed on the corner of Fetter Lane and Fleet Street. Catholic priest and accused traitor Christopher Bales was hanged here in 1590, while alleged colluder Alexander Blake met his end in Gray's Inn Lane. With many thanks to London Remembers for the initial idea and plenty of information. Please let us know below if you think we've missed anywhere.